In the past I’ve written comprehensive articles on pre-shave routines, post-shave treatments and various tips for wet and dry shaving. However, I never tackled in detail the actual shaving with an electric razor, so it’s time to address that. This post will be focused entirely on shaving technique. 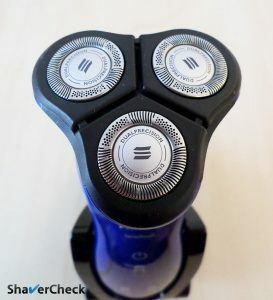 While beginners should benefit the most from these tips, I think seasoned users of electric shavers will find a few useful bits of information here as well. I’ve been using electric shavers exclusively for the past 15 years and have tried pretty much everything in terms of technique and actual electric shavers. My conclusion? The key to a close, comfortable shave is to get the basics right and to keep it simple. We can divide shaving with an electric razor into three distinct parts, all of them equally important. As you might have guessed, in this post we’ll take care of the second part, the shave itself. I highly recommend reading the other two resources linked above as they’ll have a major impact on your results. With that out of the way, let’s see how to shave with an electric razor without irritation and while still getting an adequately close shave. Also, because foil and rotary shavers are different in the way they work and the way you use them, we’ll address each separately. Foil shavers are comprised of sharp blades that move sideways extremely fast behind a thin, perforated metal screen. The hairs enter through the perforations in the foil and are then cut clean by the blades. 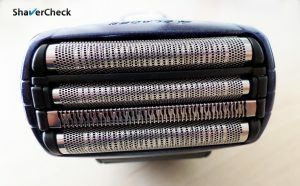 Aside from the perforated foils, almost all modern foil shavers include at least one trimmer designed to cut longer hairs to a more manageable size. And speaking of which, the Achilles’ heel of almost all electric shavers is long facial hair. Therefore, a prerequisite of a good shave using an electric razor is to have reasonably short stubble, especially if you are using a foil shaver. And that’s because foil shavers tend to handle longer hair worse than rotary shavers. If for any reason you shave every three days or more, it’s a good idea to trim your beard with a regular face trimmer before shaving. 1. Use short, controlled strokes against the direction of hair growth while applying very little pressure. This is probably the most important aspect of shaving with an electric foil shaver. Use your free hand to determine the direction your beard is growing and always shave against it. Failing to shave against the grain will result in a poor shave in terms of closeness and will likely leave some stray hairs behind. After some time you’ll have a mental map with the grain direction of your beard and you’ll no longer have to feel it with your hand. 2. Hold the razor perpendicularly to the surface that’s being shaved and adjust the angle accordingly. Your electric shaver performs optimally when held at a 90 degrees angle and in permanent contact with the skin. 3. Use your free hand to stretch the skin for a closer shave. This will cause the hairs to stand straight and thus be captured by the shaver and will also make the skin tighter, minimizing the risks of irritation. You can tilt your head back while raising your chin up when shaving the neck or right below the jaw line. You can also use your tongue to press against the inside of your lips or cheeks. It’s a very effective way to stretch the skin above your upper lip for example. These stretching tips apply to rotary razors as well. 4. Alter the length and direction of the strokes. Depending on the direction of the grain and the area that you’re shaving, shorter, more vigorous strokes may work better. For example, if you’re shaving a large, relatively flat area like your cheeks you can get away with longer strokes, especially if the grain direction doesn’t vary too much. When shaving an area with many growth patterns of the whiskers you’re better off with very short strokes, constantly adjusting the direction or even the pressure. Which leads us to the next point. 5. Flip the shaver upside down. The shaving head on most foil shavers is tilted towards the front of the shaver. You can use this to your advantage when shaving certain areas. For example, I always flip my razor (and holding it with the back facing up) when shaving right below the nose. I also tilt it more towards one of the two outer foils. This allows just one foil to stay in contact with the skin without any of the other cutting elements getting in the way. This is a more advanced technique that can definitely improve the closeness of the shave in certain tricky areas. 6. Apply a bit more pressure if needed. This goes against the first point, but your tolerance to pressure tends to depend on skin sensitivity and the particular shaver you’re using. Some are more forgiving than others (for example a Braun Series 7 or 9 is more gentle to the skin than a Panasonic Arc 4 or 5) and you can try to increase the pressure in very small increments in order to get a closer shave. Try and experiment to see what works better for you, but I cannot stress enough that you should only do it gradually and if you don’t experience any discomfort. Small cuts and nicks can happen if you press too hard as small bits of your skin actually enters through the perforations in the foils and a very thin layer of skin cells is scraped off. 7. Always take your time when shaving, be thorough and mindful. You should also start with the most difficult and irritation prone areas, like your neck. These require more attention and effort, so it’s a good idea to get them out of the way first. Again, this applies to electric shaving in general, regardless of your preference for foil or rotary shavers. The rotary shaver was made popular by Philips Norelco and uses circular blades that rotate behind metal guards. These guards feature holes and slots to capture short stubble and longer hairs that are then cut close to the skin by the inner rotating blades. 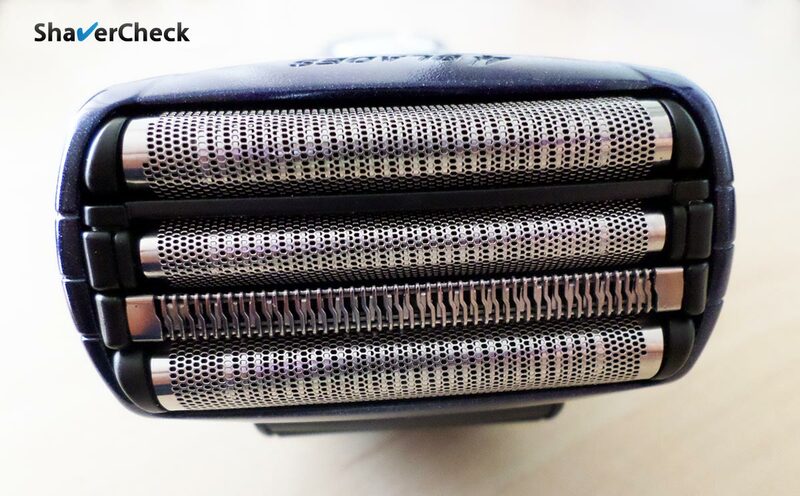 The vast majority of modern rotary shavers come in a configuration with three individual shaving heads. How we should alter the shaving techniques presented above is the direct result of the design and functioning of rotary shavers. 1. Use circular, overlapping motions, both clockwise and counterclockwise when using a rotary shaver. The reason behind this is simply to catch more hairs efficiently. While the circular motions will make up the bulk of your shave, you aren’t limited by any means to them. In fact, you should probably use (and I highly recommend you to) up and down and sideways strokes as well to make sure you get all the hairs that grow in different directions. 2. Don’t limit yourself to only using circular motions. Use whatever works best for you. Even though I touched on this subject above, I think it’s important to explicitly say it again. All the articles I’ve come across univocally say that you should only use circular patterns with rotary razors. However, if you follow this strictly you may be doing yourself a disservice and limit how much you can improve your shave. Change things up and experiment with different strokes to get the best results. 3. Use little to no pressure at all and let the shaver do all the work. This is particularly important with rotary shavers as they seem to be less forgiving than foil shavers when applying more pressure. While in the case of foil shavers pressing a bit harder can help you get a smoother shave, it doesn’t seem to work the same with rotary shavers and most of the time it will only lead to more discomfort. So a light, gentle stroke is the way to go. 4. If you use shaving cream make sure to regularly rinse your shaver, just like you would do with a disposable razor. Excess lather and hair clippings will clog the shaver and negatively impact the quality of the shave. The same goes for using a foil shaver with cream or gel. Shaving is a very personal matter and even if you implement all the tips and recommendations you stumble upon, getting that smooth, close shave will almost certainly take some trial and error. Some of the techniques outlined here may work better for you with some adjustments. Don’t be afraid to change things up if you are not satisfied with the results. But always try to start small with the changes and go from there; this is definitely the safest approach. You say we should lubricate the shaver before every use (in case of cleaning it with soap & water). You also say our skin must be dry for an effective dry shave. However if the foils might be slightly oily, won´t that prejudice the quality? That is an excellent question. When lubricating an electric shaver with oil (a spray lubricant is also an option), a little bit goes a long way. A single droplet on each foil will suffice and after letting the shaver run for a few seconds, the oil will be evenly distributed, coating the blades with a thin film. As a rule of thumb, you should gently pat the foils with a paper tissue to absorb any extra oil. This will ensure that there’s no excess oil that will interfere with your shave.